Provident fund subscribers may soon have flexibility to park their savings in equity, debt or a combination of both as per their choice, with the labour ministry firming up a policy to do away with the existing cap on investments. 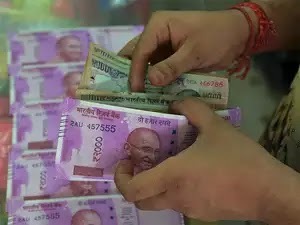 The new policy will allow five crore subscribers of the Employees' Provident Fund Organisation (EPFO) to choose an investment pattern of their own to earn higher returns, much on the lines of the National Pension Scheme (NPS), a senior government official said. The options available will include government securities, debt instruments, equity investments, money markets and infrastructure investment trusts. Under NPS, active subscribers are allowed to invest in any of the four schemes in the proportion they want, subject to overall caps. The labour ministry has prepared a draft policy on investment pattern of EPFO under which it plans to giver subscriber a free hand to decide where and how much would he like to park his money, the official told ET on the condition of anonymity. “It could be fully in equity, partly invested in equity, or the entire fund kitty could be put in government securities or debt instruments, depending on the risk a subscriber is willing to take and the return he expects on his investments,” the official said. The draft is ready for stakeholder consultation, following which it will be finalised. According to the official, the proposal will have twin benefits. It will provide greater flexibility to subscribers to maximise returns, and at the same time provide long-term resources to productive sectors in the economy. Currently, the finance ministry notifies investment pattern that prescribes a ceiling on investments under each head for non-govt provident funds, superannuation funds and gratuity funds. As per the existing pattern, applicable since April 1, 2015, up to 50 per cent of the PF kitty can be invested in government securities, up to 45 per cent in debt instruments, up to 15 per cent in equity and 5 per cent each in money market and infrastructure trusts. Currently, PF savings of all subscribers are invested in the above prescribed pattern and the subscriber does not have a choice of investment. Annual returns on PF savings is over 8.5 per cent , lower than around 10 per cent on NPS that givessubscribers an option to invest up to 50 per cent contribution in equities. The move has been triggered by falling returns on government securities and debt instruments over the last few years compared with higher returns on equity investments. While government securities and debt bonds fetch around 7 per cent annualised return, the return on equity investment under EPFO has been over 16 per cent since it started in 2015. Earlier last year, the central board of trustees of EPFO had approved an accounting policy to credit exchange-traded funds (ETFs) into the members account apart from cash component. As per this accounting policy, all subscribers of the EPF scheme would individually have two separate member account heads — fixed income, where fixed annual interest gets credited to members account, and equity, where investment in equity is reflected as units and the return is marked to market.